New Liturgical Movement: The Ninefold Kyrie: An Example of “Useless Repetition”? The Ninefold Kyrie: An Example of “Useless Repetition”? The Asperges antiphon and the Introit antiphon are repeated after their verses and doxologies. The doxology is said many times throughout Mass. Psalm 42 as laid out at the start features a number of repeated phrases. The Kyrie, of course, has nine petitions in three sections (3 x 3), of which the outer members are verbally identical. The Confiteor is said by the priest, then repeated by the servers with small differences, and then said again later in the Mass, right before the communion of the faithful. The Domine, non sum dignus is said three times by the priest, and then three times by the servers (either alone or together with the faithful). If we look beyond the Mass to the Divine Office, we see many more examples. Most of these repetitions were discarded or brutally reduced in the liturgical reform, purportedly in pursuance of Sacrosanctum Concilium 34, which called for the reduction of “useless repetitions” (repetitiones inutiles, or ineptas as the original draft read). At the first Kyrie eleison, He granted her the remission of all the sins which she had contracted through human frailty; after which, the angels raised her up on her knees. At the second, He pardoned her sins of ignorance; and she was raised up by these princes, so that she stood before God. Then [at the third] two angels of the choir of Cherubim led her to the Son of God, who received her with great tenderness. 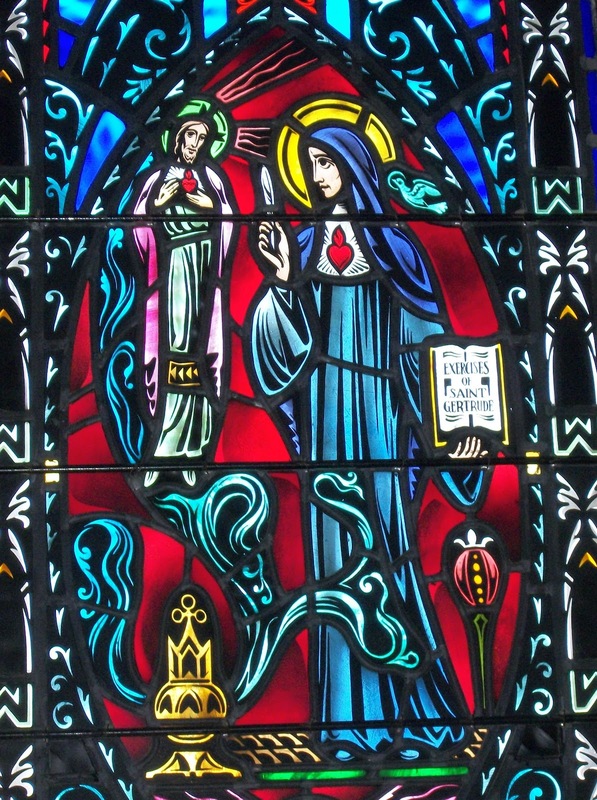 At the first Christe eleison, the Saint offered our Lord all the sweetness of human affection, returning it to Him as to its Source; and thus there was a wonderful influx of God into her soul, and of her soul into God, so that by the descending notes the ineffable delights of the Divine Heart flowed into her, and by the ascending notes the joy of her soul flowed back to God. 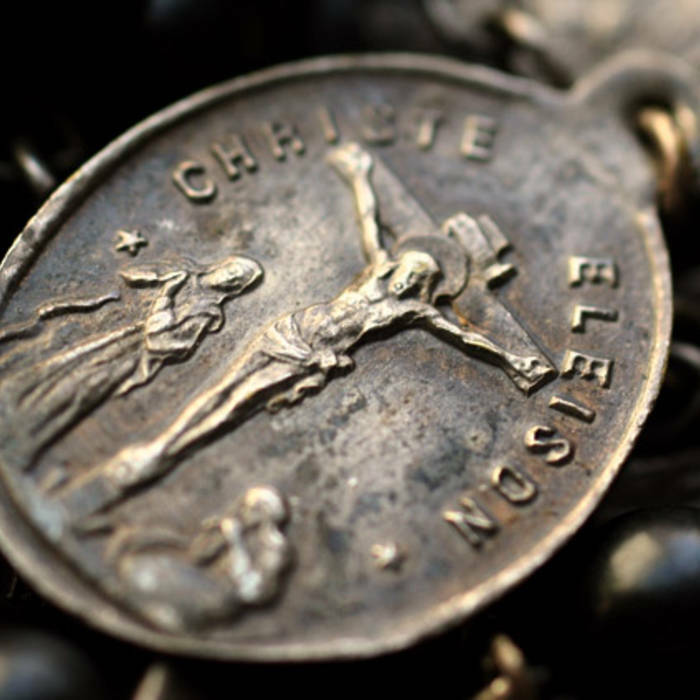 At the second Christe eleison, she experienced the most ineffable delights, which she offered to our Lord. At the third Christe eleison, the Son of God extended His Hands, and bestowed on her all the fruit of His most holy life and conversation. Two angels of the choir of Seraphim then presented her to the Holy Spirit, who penetrated the three powers of her soul. At the first Kyrie eleison, He illuminated her reason with the glorious light of Divine knowledge, that she might always know His will perfectly. At the second Kyrie eleison, He strengthened the irascible part of her soul to resist all the machinations of her enemies, and to conquer every evil. At the last Kyrie eleison, He inflamed her love, that she might love God with her whole heart, with her whole soul, and with her whole strength. It was for this reason that the choir of Seraphim, which is the highest order in the heavenly hosts, presented her to the Holy Ghost, who is the Third Person of the Most Holy Trinity, and that the Thrones presented her to God the Father, manifesting that the Father, Son, and Holy Ghost are One God, equal in glory, co-eternal in majesty, living and reigning perfect Trinity through endless ages. As the saint heard Mass one day with the greatest fervour, it appeared to her that her guardian angel took her in his arms as if she were a little child, at the Kyrie Eleison, and presented her to God the Father, to receive His benediction, saying: “Eternal Father, bless Thy little child.” And because for a time He replied not, as if He would testify by His silence that so miserable a creature was unworthy of this favour, she began to enter into herself, and to consider her unworthiness and nothingness with extreme confusion. Then the Son of God arose, and gave her the merits of His most holy life to supply her defects, so that she appeared as if clothed with a rich and shining robe, and as if she had attained to the full age and strength of Jesus Christ. Then the Eternal Father inclined lovingly towards her, and gave her His absolution thrice, as a sign of the triple remission of all the sins which she had committed against His omnipotence in thought, word, or deed. The Saint offered in thanksgiving the adorable life of His only Son; and at the same time the precious stones with which her garments were adorned emitted a harmonious concert to the eternal glory of God, which testified how agreeable it is to Him to offer Him the all-perfect and holy life of His Son. The same angel then [at the Christe] presented her to God the Son, saying: “Bless Thy sister, King of Heaven”; and having received from Him a triple benediction, to efface all the sins she had committed against the Divine Wisdom, he then presented her to the Holy Spirit, with these words: “O Lover of men, bless Thy spouse”; and she received from Him also a triple benediction, in remission of all the sins which she had committed against the Divine Goodness. Let those who read this reflect on these three benedictions at the Kyrie Eleison. The very fact that an age-old structure, numerologically luminous, on which mystical visions and musical masterpieces had been built up, was put aside by a committee of self-styled “experts,” shows the extent to which the reform proceeded from crass contempt for liturgical tradition and sacred music, in spite of what Sacrosanctum Concilium had said elsewhere. How many examples of this sort of thing, examples sadly available ad nauseam, would it take to convince the fence-sitters that the reform deserves nothing better than the rubbish bin? The ninefold Kyrie of the Mass is obviously directed to the Holy Trinity, as its oddness of number blocks any impression of “call and response.” It is not a dialogue between “presider and assembly” but a cry of the faithful to the Most Holy Trinity. The sixfold Kyrie, on the other hand, is a textual expression of the anthropocentric “closed circle” of which Ratzinger wrote: the priest or cantor calls out “Lord, have mercy” to the people, and they respond to the priest or cantor. 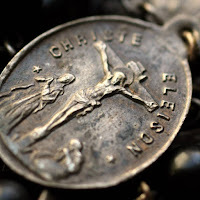 The object of the prayer (the Holy Trinity) is in tension with the structure of it (a binary this-that, back-and-forth) — since one set of Kyrie eleison/Christe eleison/Kyrie eleison, as in the monastic Office, would have sufficed, if God were the one being addressed. The achievement of the liturgical purists, as they condemned the incoherences of the old rite, has thus been to introduce far more incoherences in the rite they have invented. The reason for this is the lack of integrity in their intentions, but it also stems from the method used when the Consilium set about recasting the liturgy. The Mass was divided into sections and each one given to a separate committee to revise. The result was that each part of the Mass had to be slightly tampered with; otherwise the committee concerned would not have justified its existence. The changes made follow no liturgical logic. In the Kyrie eleison, the old threefold repetition, going back to the earliest days of the Church, has been replaced by a twofold one. This was in pursuance of the Modernists’ principle of abolishing ritual repetitions. Yet, if that were logically followed, there is no reason why the prayer should not be reduced to Kyrie eleison, Christe eleison, or indeed to Kyrie Christe eleison. Thus both logic and tradition go overboard so that a committee should do its petty meddling. At the same time, while one committee pruned repetitions here, another was introducing them in another part of the Mass, those of the responsorial psalm and the bidding prayers, which show repetitions of a kind from which the old rite was free. In their poverty of conception, the innovators’ rule was that repetition was wrong unless they could think of nothing better themselves. 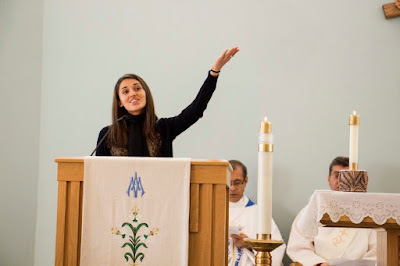 Sire has put his finger on an irony that few have dared to speak about, namely, that the Novus Ordo exhibits more and worse defects in some of the very areas against which the cancer-phase Liturgical Movement directed its blazing arrows. Thus, we find far more useless repetition in the Novus Ordo than in the traditional Mass. Think about the Prayer of the Faithful: how many millions of times have we wearily said “Lord, hear our prayer” to the laundry-list of ill-formulated, poorly-read petitions at the podium? Or how many times have we repeated the response to the responsorial psalm, while visions of Hallmark cards danced in our heads, or we wondered if we or the rest of the people would remember the response, or whether all this has any point to it except to give the unemployed some work to do? Those who rejected the repetitions of tradition were punished for their pride with the lackluster redundancies of concocted rites. Time for everyone's favorite liturgical gesture! I have found that the more I say it, the more genuine I get. It’s like the first 10 times I’m slowly getting rid of all distracting thoughts. The next 10 times, I’m starting to get my myself in the right frame of mind for prayer. The next 10 I’m starting to think about the meaning behind each word. Then during the final 10 I can actually pray it from my heart. The fact that lip service is paid to the “ancient and glorious East” by the very liturgists who savagely denuded the Roman Rite (or the Ambrosian or Mozarabic, etc.) or who today defend its naked state shows up the intellectual dishonesty of the reforms and their pursuit of agendas at all costs, even at the price of consistency of principle. The Eastern liturgical tradition contains countless examples of textual and ritual repetition on a scale far more extravagant than anything the Latin tradition ever boasted. Take the liturgy of baptism, with its many threefold statements; or the multitude of prostrations in penitential seasons. At the end of the day, the problem boils down to this: is usefulness, “cash value” so to speak, the best or ultimate criterion of whether something belongs in the liturgy or not? Let us ask this question: Is it useful to contemplate God? Do we justify our contemplation by saying that research shows that it strengthens the brain, promotes good sleep and low blood pressure, and leads to statistical improvements in cheerfulness? Or is it something worth doing for its own sake, or rather, for God’s sake — and therefore, not surprisingly, something beneficial to us? Similarly, repetition, which is always meaningful and profitable when done in faith, hope, and charity, is a discipline primarily aimed at offering God praise, adoration, and glorification, an earthly likeness of the song of angels crying out “Holy, holy, holy…” in the presence of the Most Holy Trinity. It is therefore strange, passing strange, that the Constitution on the Sacred Liturgy should tell us that repetition must be “useful.” It is useful, but not in a utilitarian way, as David Clayton has recently explained — and yet, it is hard to see how the Council meant anything other than a surrender to modern American pragmatism: let’s get things done as quickly and efficiently as possible. Boyz, we got things to do! The solution, as it always has been and always will be, is to treat with the utmost respect all that proceeds from the mouth of God in His liturgical Providence. The ninefold Kyrie of the Mass was just such a thing, coming to us from ancient times, stretching unbroken through the dark centuries of Roman decline, the bright centuries of the Middle Ages, the tempestuous centuries of Reformation and Revolution. No one would have thought of changing it — no one, that is, until the cretans who believed that their lego-brick liturgies, assembled in study weeks, were superior to the vintages of Christendom matured over long ages. In verses that apply equally well here: “When they knew God, they have not glorified him as God, or given thanks; but became vain in their thoughts, and their foolish heart was darkened. For professing themselves to be wise, they became fools” (Rom 1:21–22). And: “The Lord knoweth the thoughts of the wise, that they are vain” (1 Cor 3:20). Or perhaps most aptly of all: “Omnes declinaverunt, simul inutiles facti sunt” (Ps 13:3). Kyrie, eleison. Source: The Life and Revelations of St. Gertrude (London: Burns & Oates/New York: Benziger, 1870), of which a typo-ridden version is available here. I am aware that when litanies are recited, there is a doubling of the Kyrie rather than a tripling. But this is the authentic structure of the litanies, even as the ninefold structure was the authentic structure in the Mass. It flies in the face of all respect for inherited rites to do violence to an ancient (6th-century) structure in order to bring it into conformity with a modern predilection for call-and-response mechanisms. H. J. A. Sire, Phoenix from the Ashes (Kettering, OH: Angelico Press, 2015), 261. And please do not tell me that the responsorial psalm was something ancient that, having been forgotten, was rightly revived. In the form in which it was re-launched in 1969, and above all in the manner in which it is done, it has nothing to do with ancient practice. This comment is from a thread in which various Orthodox laymen are discussing the benefits of repetition in liturgical prayer. It interests me especially because there is no indication that anyone in the discussion is a theologian or a liturgist; they are just ordinary folks trying to live their tradition, as we should do.